Can you actually live in a container house? Living in a container house might seem strange and unusual, but until recently its become a trend as an affordable solution to home ownership. So while this may be a cheaper alternative, it is by no means tacky and can in fact be modified to suit the taste and personality of the owner. Taking into consideration the size that you require and the materials you would like to include will make planning, building and execution of this project fun, thrilling and a definite option if you are into the idea and like to take risks. 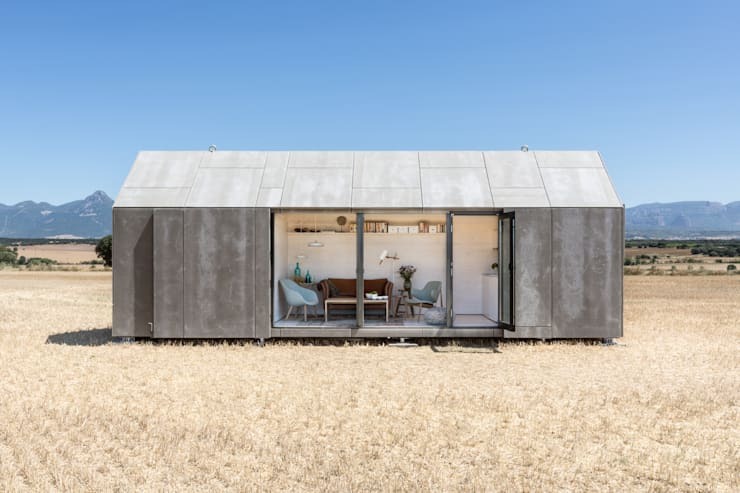 This customisable residence can be all you would like it to be and more, but for further inspiration into your impending project have a look at these simple and complex ideas for a container home. While a home is an ultimate way to showcase your status, personality and thoughts, it is also a place of entertainment and warmth. This example is an elegant display of possibilities that can be brought to life by choosing to make a container home your own. The addition of wood and glass sees to it that this venue is classy and tasteful and looks nothing like a normal container. It has an extra vivacious attitude and the use of natural elements provide a sort of enchanting homely charm, welcoming, tasteful and inviting to anyone who arrives at the doorstep. It seems almost magical draped by trees, like a house in a distant and mythical world. Proof that a container home can be functional and stunning with enough effort and expertise. South Africa has recently jumped on the bandwagon of container homes as more than just low income housing, but as an artistic expression. However, before getting started with the purchasing of materials, it is imperative to ensure that you are acting in accordance with the law. This means that the necessary permits and legal documentation are to be obtained and filed prior to the structure being set up. 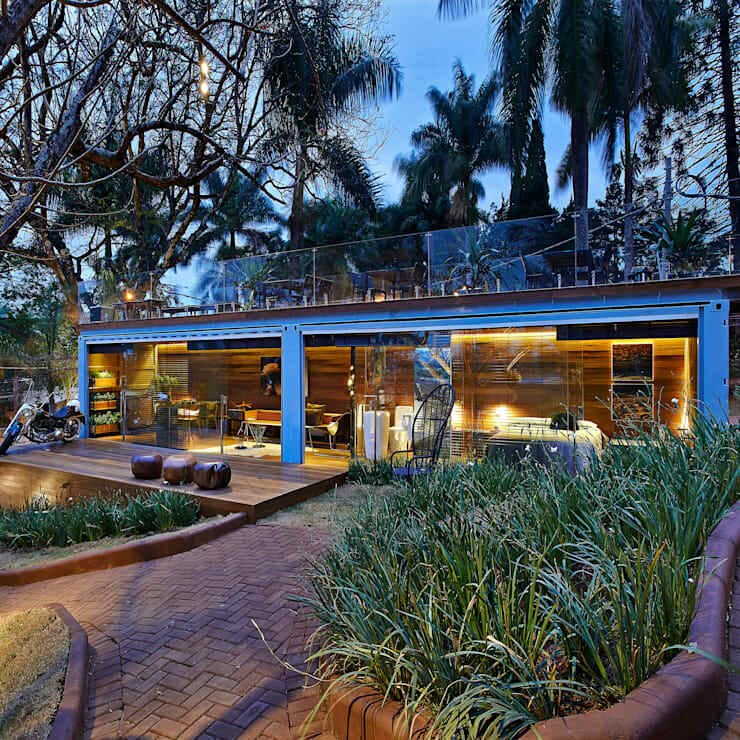 The walls of the structure are generally made from Rhino-wall plasterboard partitioning with an insulated ceiling, while the floor is a steel deck structure. It is also crucial that the foundation is taken into consideration, the general rule is that when it is built on level ground, a raft foundation is to be used and when it is built on a slope, strip-footing with foundation walls and slab are to be used. The advantages of shipping container living include the fact that it is manufactured from high quality, durable metal. The structure protects your possessions against rodent and insect infestation as well as humidity. It is easy to set up and can be transported if need be, and it includes plumbing and electricity installation. The structure can be reused and modified with a variety of colours and sizes available for any requirement. It is also less expensive than buying or building a traditional house. Container homes are fire proof and hurricane proof and add a fun element to building, customising and living in your new home. It is a wonderful idea if you find it appealing, artistic and just what you thought you would like. Living in and building your container home as exciting and open-minded as it may sound, has its draw backs, there are many disadvantages to deciding on a house such as this. 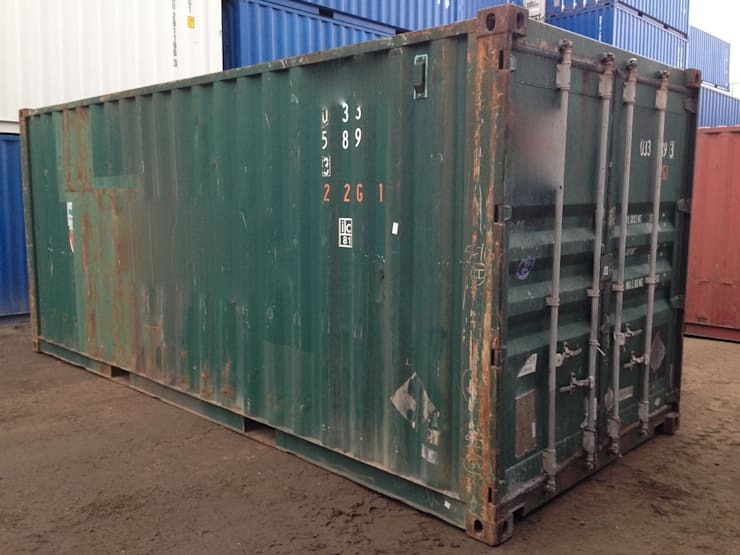 Firstly, take into consideration that although the container is made of durable materials, they will deteriorate over time. Next, be sure to remember that a great deal of money, effort and labour would go into getting the container transported to where its needed. Added to that is the massive amount of labour that goes into making it habitable and safe. The actual square area of a container is not that big at all, so it is almost certain that more than one container will be require for a comfortable living space. Not to mention the fact that living in a metal container is not a good idea if the area is exposed to extreme cold and hot weather conditions. The use of multiple containers can allow for an upstairs area to be added such as this. Looking at this natural wooden interior it is almost impossible to tell that it was once a cargo container. It has been smartly, elegantly and functionally designed and will make for an interesting story when entertaining guests. Open plan living can fully be achieved here with a modern kitchen and living area added into the container house shell. The overall design is a perfect look at excellence in space planning and interior design. 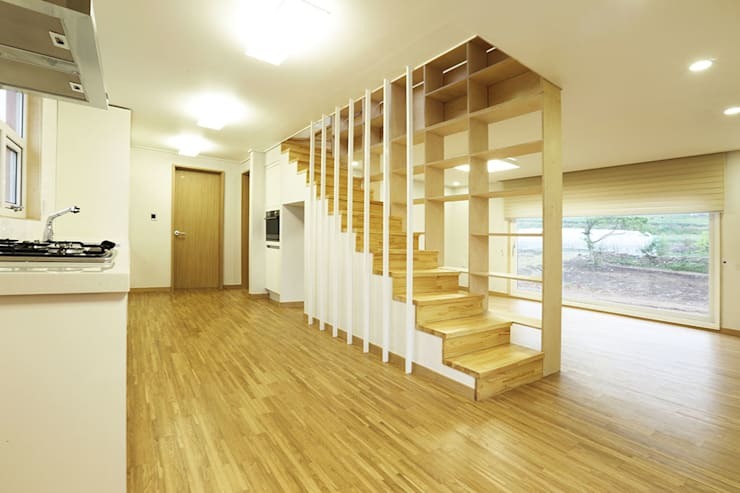 Shelves decorate the stairway which means the issue of storage was taken into consideration as well. The large open window allows natural light to flow in, making the space comfortable, tranquil and inviting. 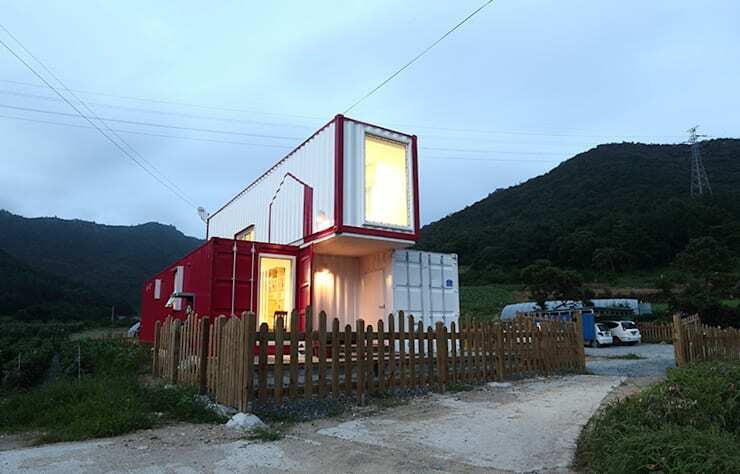 While the container houses depicted and focused on here are all about functionality, it is necessary to add in the possibilities of out of the box thinking. 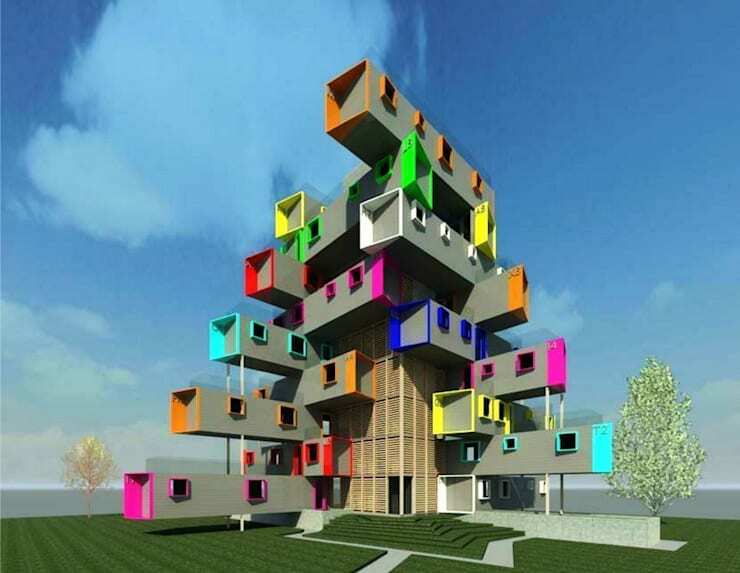 Here we see a multi-storey, multi-coloured structure of containers. It's interesting, futuristic, different and fun. It looks like it would be a fun, artsy and entertaining place to live. Perhaps this is what apartment buildings of the future will look like, eco-friendly, safe, fun and manufactured from reused materials so durable as well. Creativity and new-age thinking and ideas might provide some mind opening experience which we can all benefit from? Although it seems like this may be few and far between, there are individuals and creative minds out there who already think in this reality.